Meet our collaborative team! Our diverse backgrounds and unique passions come together to make your dream space come to life. This Wisconsin native brings a fresh, clean aesthetic to the spaces she designs. With a background in art, real estate and sewing, Rebekah can help transform your space or project no matter how big or small. She works with both residential and commercial clients, helping them conceptualize, design, and finish their spaces. We call her the Fabric Wikipedia! 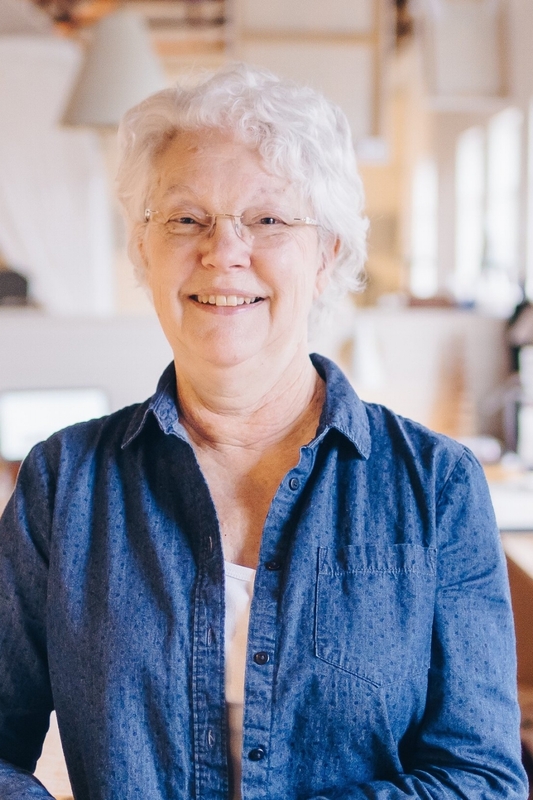 Mary Ellen brings her sense of style and perfectionism to every project she touches. As one of our lead stitchers, she works on all our panel, bedding, and window projects. Mary Ellen grew up in Lancaster, PA, although we swear she's a southerner. Our favorite Canadian, Judy has been with Rebekah the longest. Judy is the calming force in our sometimes hectic creative space. As one of lead stitchers, she works on all our panel, bedding and custom pillow projects. Fun fact: Judy's husband of 47 years is also our installer and you will often see this dynamic duo in your home on installation day.